Huawei MediaPad Tablets vs. iPad: What Should You Buy? When forum user herbertvwright asked if Huawei has caught up to Apple in the tablet market, I was slightly surprised to discover the answer. The MateBook X Pro shows that the Chinese tech giant can hold its own when it comes to laptops, but can the company’s tablets match the “quality, durability [and] speed” of the iPad? While Huawei can’t touch the iPad Pro’s blistering-fast speed and industrial design, it’s not even trying to right now. 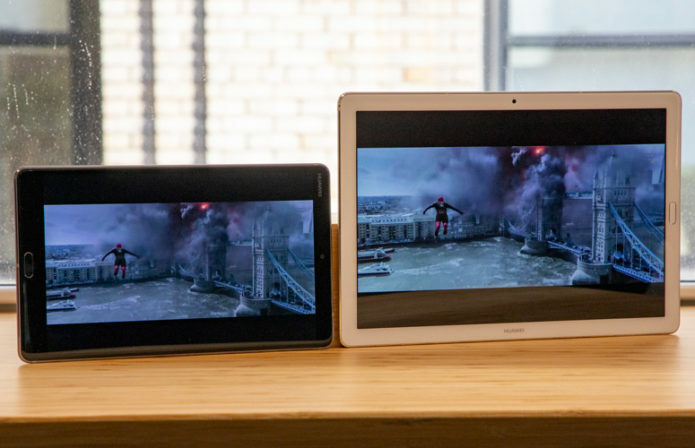 Let’s consider Huawei’s $329 MediaPad M5 and $449 M5 Pro, two midrange tablets that Huawei’s aimed squarely at Apple’s $329 iPad, as well as the upcoming, family-focused MediaPad M5 Lite.